Adam Stark had found gold. 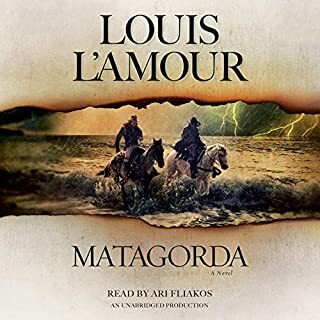 In the confusion of the mesas and canyons near Rockinstraw Mountain, Stark, his wife, Consuelo, and his sister, Miriam, were quietly working a rich vein while keeping their presence a secret from raiding Apaches. Worried that his wife might leave him, Stark wanted to make enough money to take her to San Francisco, where she could enjoy the style of life she craved. But when Taggart, a stranger on the run from a vicious bounty hunter, enters their camp, tensions soon mount. Consuelo, against all good judgment, cannot resist testing Taggart. Rafe Caradec—gambler, wanderer, soldier of fortune—was as hard a man as the battlefields and waterfronts of Latin America could fashion, but he was as good as his word. As Charles Rodney lay dying in a dank ship’s fo’c’sle, Rafe swore to make sure that Rodney’s Wyoming ranch went to his daughter, Ann. 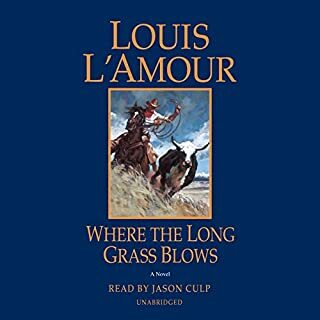 In Painted Rock, Wyoming, Caradec found land for a man to love, miles of rolling grasslands and towering mountains. Tom Kedrick earned his stripes during the Civil War, fought Apaches, and even soldiered overseas. 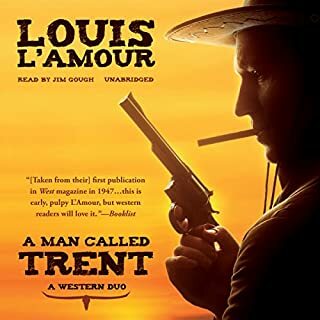 But in the high desert country of New Mexico, the battle-hardened Kedrick is entangled in a different kind of war, fueled by greed and deception. 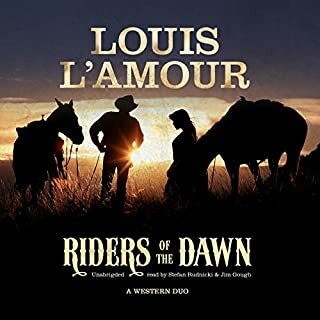 Hired by Alton Burwick to drive a pack of renegades and outlaws off the government land recently set aside for an Indian reservation, Kedrick begins to notice that things are not as they seem. As his suspicions grow, he realizes that he may be fighting on the wrong side of a land swindle. 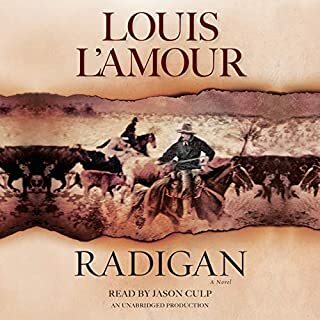 Wounded, dehydrated, and escaping a violent feud with the men of Bob Sutton’s ranch, Trace Jordan is near collapse when he descends from the heat of the desert into a cool, secluded canyon. He wakes to find a beautiful woman gently nursing him back to health. Strong and proud, Maria Cristina has also suffered at the hands of Sutton and his men. The experience has left her hostile and defiant. Trace, intrigued by Maria’s grit and determination, can’t help trying to peel back her layers - but his attraction makes her a target. 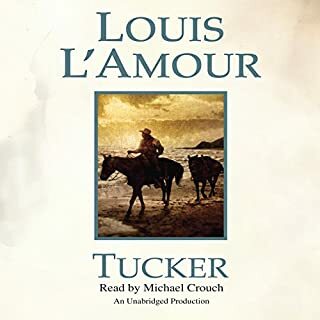 “If a man won’t fight for what is rightly his, then he ain’t much account.” With this challenge from his dying father, young Shell Tucker rode out after three men who had stolen the twenty thousand dollars his father was carrying. Two of the men he hunted, Doc Sites and Kid Reese, were his friends. Dreaming of adventure, Tucker had wanted to join their gang. 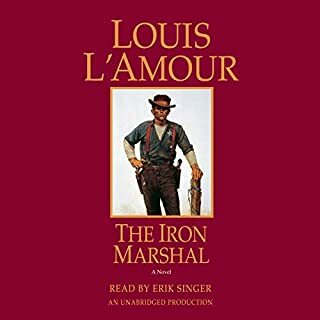 But now, with his father gone and the people back home desperately in need of the proceeds from the cattle drive, Shell was determined to uphold his father’s reputation and recover their money. He knew the odds were against him. Tap Duvarney lost his innocence in the War Between the States and then put his skills to the test as a soldier in the frontier army. 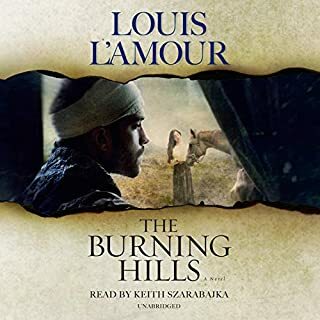 Now, leaving behind a devoted fiancée, he is trying to make his fortune on the Texas coast, working a ranch as the partner of his old friend Tom Kittery - and finding himself in the middle of a feud between Kittery and the neighboring Munson family. Macon Fallon had never needed more than a deck of cards, a fast horse, and a ready gun; he was counting on those things now as he led an unsuspecting group of settlers to an abandoned mining town. 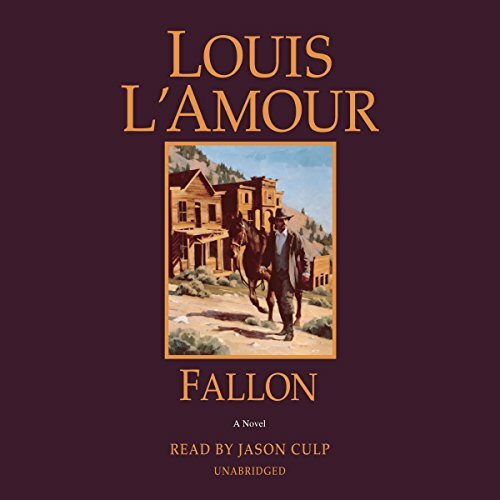 But while Fallon prepared to pass the ghost town off as a gold mine in the making, a funny thing happened: a real-life community started to take shape in the town he’d christened Red Horse. This was a very entertaining story. 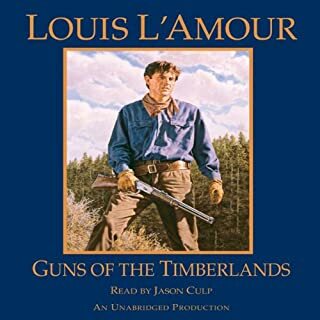 The characters are engaging as usual and Jason Culp did his usual great job. Great story with a Great ending. Has everything. Loved it. One of the best stories I have listened too in a while. 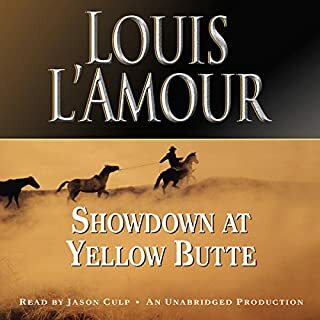 What a clever story line on this enjoyable novel by Louis L’Amour! This book has a different twist to it, so the reader will be surprised if the expectation is the lawman vs. bad guys narrative. A real treat! Unique western; hard to find. 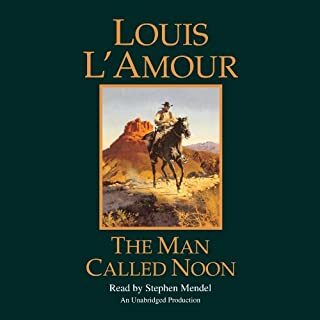 Unique stories are hard to find; even when written by the master of western story telling, Louis La'Mour. 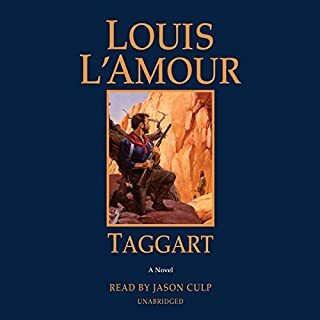 La'Mour spun a captivating yarn here that held my attention captive throughout; expertly read by Jason Culp. If they had a "Story-telling" category Jason Culp would get five stars. This was an excellent book. 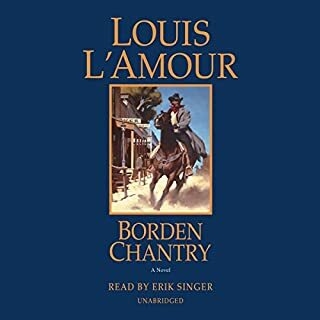 My first L’Amour book that I have read or heard. I truly loved it. I will purchase many more. 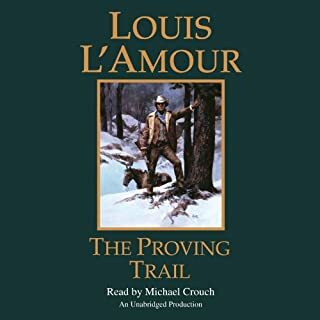 I listened to the entire book in one setting overnight. I couldn’t go to sleep until I finished it. The book was very, exciting. It had everything that you could imagine in a western. I will purchase another right away. It will take you away from the crazy things going on in this world and allow you to dream again. 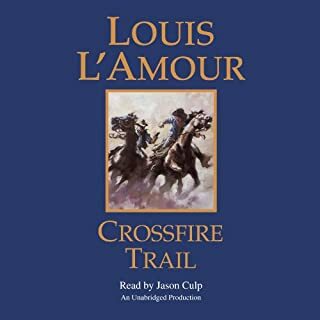 When the book 1st began I was a little concerned because it did not seem like a true Louis l’Amour book. Before long I could not stop listening. 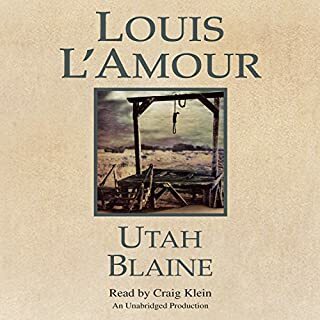 This is a great book in the tradition of Louis l’Amour. You will love it. 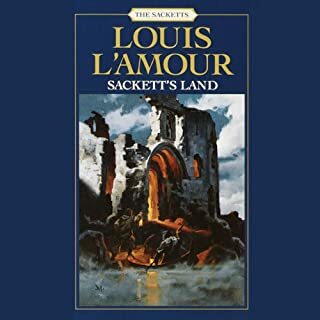 not my favorite Louis lamour story, it was dry in the first half, but charming over all. The book was just as good as when I was younger. I really loved this story. 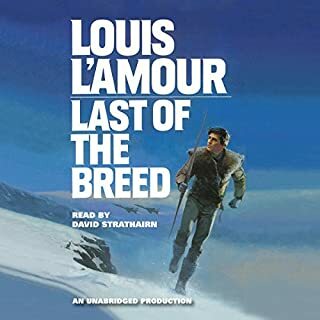 I’ve listened to almost every L’amour available, and ‘‘tis one is second only to one other narrated by Culprit. Who, by the way, is simply the best. Original story. Humor. Suspense. Just everything you’d like to hear in a L’amour.